IPython Notebooks are web-based interactive documents that combine executable code, text, graphs, and media into a single, shareable document, and they’re quickly becoming the de facto hack pad of the scientific programming community. 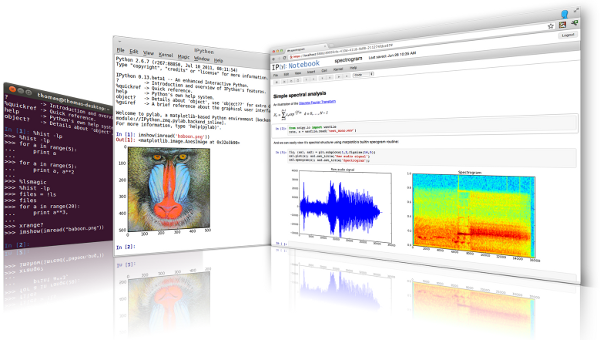 However, the potential of IPython Notebooks extends beyond data-oriented development. Any developer can use them to learn and quickly prototype code, authors use them to write books and blogs, and teachers use them as a classroom tool. IPython Notebooks even run non-Python code like Julia, Ruby, and R, and it’s possible to integrate them with projects like Django. This session will be a tour through some of IPython Notebook’s most useful features. We’ll quickly cover the easiest way to get up and running, basic concepts for using notebooks, and how to share a finished notebook by saving it as static HTML, exporting it as a Reveal-based slideshow, or using Github and the nbviewer utility. Once the basics are done, there might be time to demo some fun features like interactive graphs. Come get hooked on IPython notebooks and learn why interactive notebooks are a milestone in the open source community.